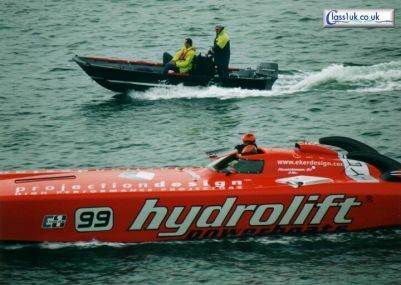 The Hydrolift Racing Team is based upon the boat manufacturer Hydrolift Powerboats, projector manufacturer Projectiondesign and the design company Bård Eker Industrial Design. This season could see them run two boats as their current driver (Bard Eker) has been confirmed as driver in the Spirit Of Norway. Hydrolift will eventually take ownership of the current world champions.